HALL Of Fame trainer Leon Macdonald will launch his Tasmanian Summer Racing Carnival assault when Gogo Grace heads to Hobart on Friday night. The talented four-year-old will tackle the $150,000 Group 3 Bow Mistress Trophy (1200m) with top Victorian jockey Dean Yendall booked to ride. Macdonald and co-trainer Andrew Gluyas opted to give Gogo Grace a quiet time between runs after an eye-catching effort at Flemington over 1400m on January 13. “I wanted her nice and fresh,’’ Macdonald said. “She ran a 1500m here and then a 1400m at Flemington, so I wanted to keep her nice and sharp. 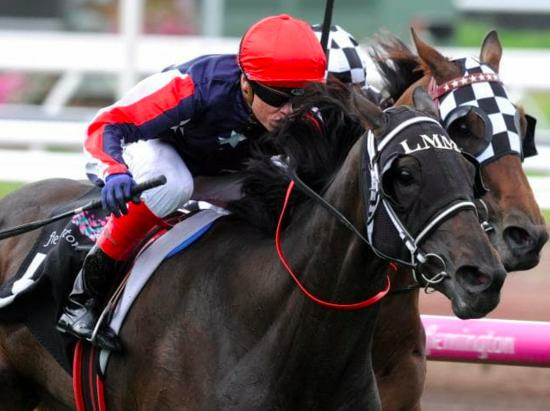 Macdonald also has his sights on Sunday’s $250,000 Group 3 Hobart Cup (2400m) with smart staying mare Pretty Punk.